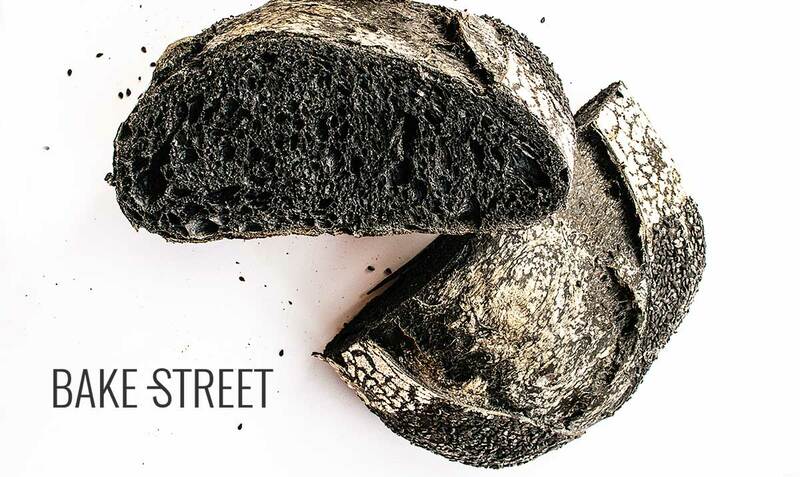 Surely this is not the first time you’ve seen or heard about charcoal breads. Undoubtedly the first thing that manages to capture our attention completely is its intense black color and, then, to think with what ingredient has been elaborated. 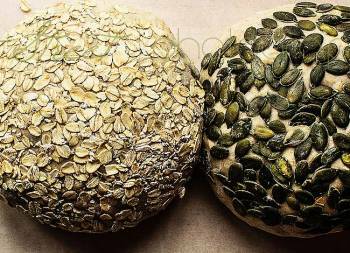 There has been much talk about this bread variety, method to carry it out, whether it is toxic or harmful to the body and ignorance about its taste. 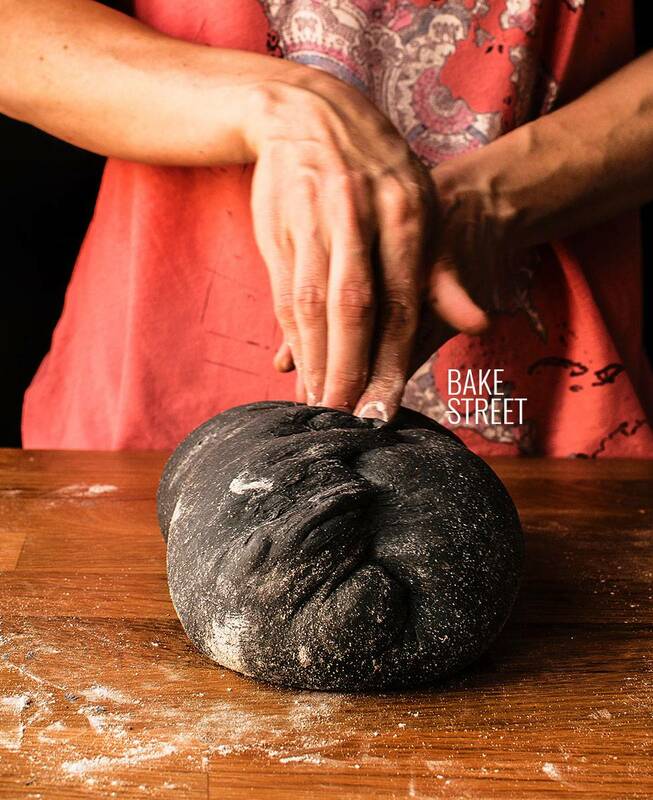 Today I will tell you about this ingredient and how to make a sourdough charcoal bread. 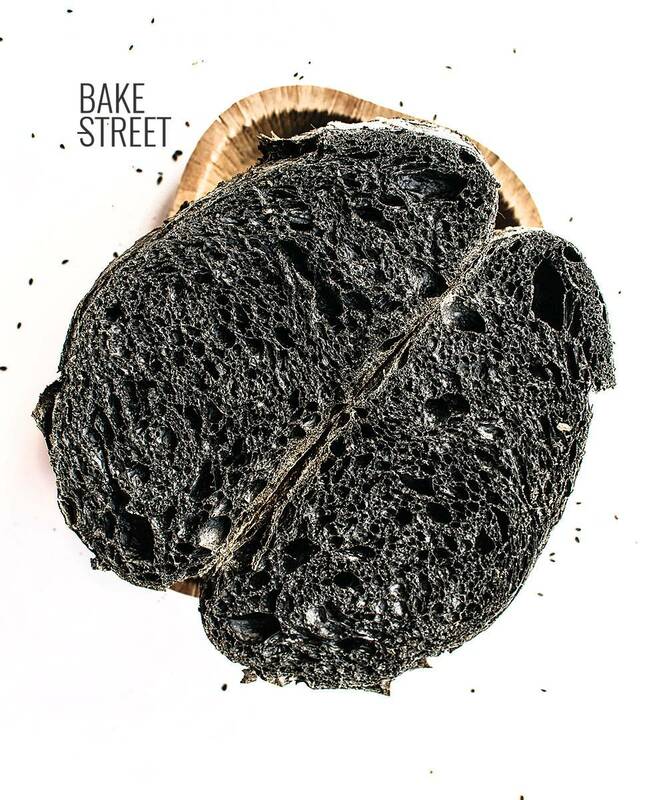 I remember the first time I saw it in a sourdough bread´s community, the first thing I thought of was that it was made with squid ink. I thought it was a recipe I was never going to try because I was not going to like it … until I read what it was made with. It certainly surprised me a lot because I never thought that charcoal could be used in cooking/baking. From there I started to look for information and read more about it, from where I realized that it is given many uses. 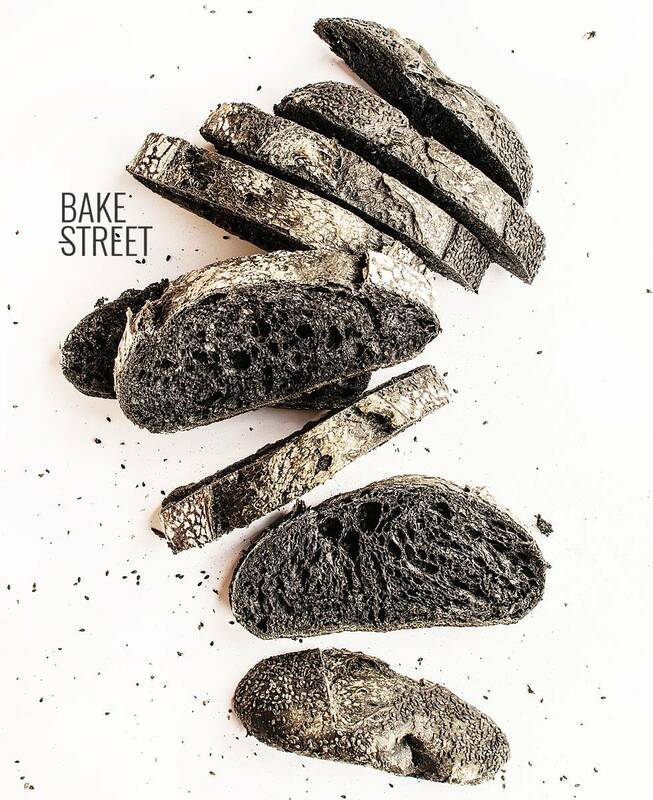 Bread has basically been with the element that has been given popularity, but charcoal has been used for a long time for the elaboration of some types of cheese, vegan cuisine or haute cuisine. Active charcoal is not a current ingredient, in fact it is already mentioned in one of the oldest medical treatises that have reached our days, Eber Papyrus of 1550 BC. It refers to charcoal as one of the most powerful substances for healing of the plant kingdom. Until the s. XIX in France did not make the first tests to confirm the therapeutic virtues from the scientific point of view. In the year 1813 Gabriel Bertrand French chemist, who had been working with arsenic for years, demonstrated the incredible properties of charcoal. During a public exhibition he consumed a dose of arsenic capable of killing dozens of people without suffering any damage. The terrified spectators believed that the professor had lost his head and expected a creepy end. The professor calmly continued his presentation without experiencing any effect produced by the arsenic and, minutes later, unveiled his secret. Bertrand had discovered that charcoal was a universal antidote capable of inhibiting the effects of all kinds of poisons. What he did was dissolve a little active carbon in the arsenic to completely neutralize its effects. Adsorbent: Process by which atoms, ions and molecules of another body are retained on its surface. Absorbent: A process by which liquid, gas or vapor is attracted and retained. 1. Carbonization: Carbon-containing material is pyrolyzed at temperatures in the range of 600-900° C, usually in an inert atmosphere with gases such as argon or nitrogen. 2. Activation / oxidation: The raw material or carbonized material is exposed to oxidizing atmospheres at temperatures above 250° C, usually in a temperature range ranging from 600-1200° C.
Chemical Activation: Before carbonization, the raw material is impregnated with certain chemicals. The chemical is usually an acid, a strong base or a salt (phosphoric acid, potassium hydroxide, sodium hydroxide, calcium chloride and 25% zinc chloride). The raw material is then carbonized at lower temperatures, between 450-900° C. It is believed that the carbonization / activation step proceeds simultaneously with the chemical activation. Chemical activation is preferred to physical activation due to the use of lower temperatures and the reduction of time to activate the material. Through these processes of activation it is possible to create micropores capable of adsorbing all the harmful substances that invade an organism. As I said a little above, active charcoal has different uses but we will focus on medical or nutritional use. Active charcoal is a potent natural treatment used to trap toxins and chemicals (not all of them, for example, alcohol, bleach, corrosive products …), which makes it possible to expel them of the body without being absorbed. Its most popular use is to treat drug poisoning or overdose (always under medical supervision) in addition to being used to reduce stomach swelling, gas, reduce cholesterol, treat problems of biliary flow … Its use is more effective than washing stomach in some cases. The porous surface of the activated carbon has a negative electric charge that causes the positive charged toxins and the gas to bond with it. The effect it produces in the body is purifying, removing the chemicals we ingest daily and are trapped in the intestine. We should not worry about how much we are going to use to make our bread. We will use only 2.4 g for all bread and the recommended daily use for a person is much higher than this. 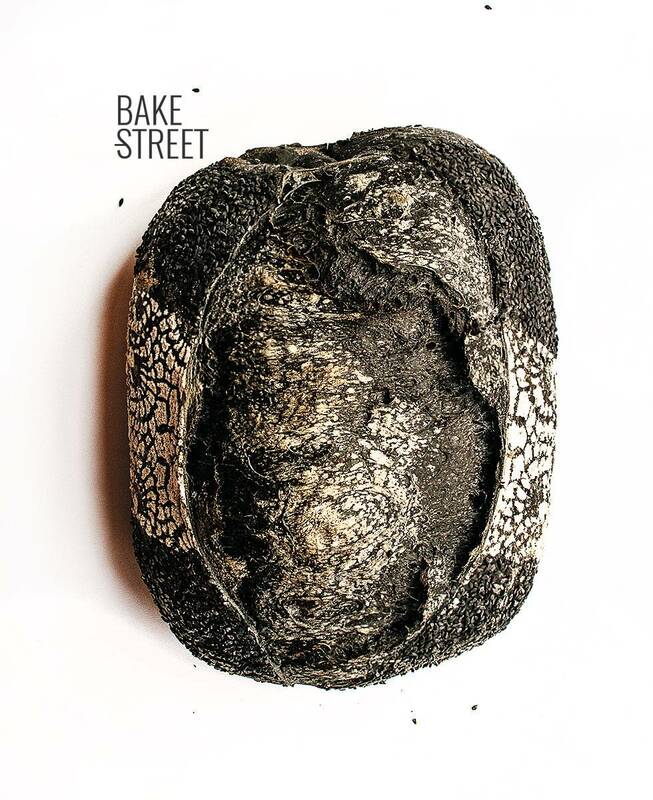 For the elaboration of this bread we will not complicate too much and the main reason is that we are interested to see and learn how the active charcoal behaves when it comes to bread making. For that reason the flours that we will use will be simple, if we do not have T45 we can substitute it for AP/bread flour and control the final hydration. The decoration I made is much simpler than it may seem. Once we have shaped our bread and before placing in the banneton, we will spray with water and decorate both ends with black sesame seeds. To create two clean cuts, we will place a folio on the bread and sprinkle generously. In a large bowl add flours along with charcoal and water, mix with your hands (in my case I used my KA for 4 minutes) until it is well hydrated and looks smooth. Cover with plastic wrap or cotton cloth and allow to make autolysis for 20 minutes. Add sourdough and mix to speed 1 for 15 minutes. Once it is fully integrated, add salt and continue kneading. Transfer to a work surface, without flour, and knead by hand to finish. Combine kneading with resting time. Knead 2-3 minutes and let sit 5-6 minutes. Total time kneading by hand will be 4-5 minutes. To check the gluten mesh, we must always do it after a rest. Grease with olive oil a bowl or recipient and put the dough inside. Cover and make a bulk proof for 2 hours and 45 minutes at room temperature. My home temperature was 87ºF. Turn and fold after 50 minutes two times. Let rise until almost double in sized. Dust with rye flour a banneton, set aside. Preshape into a boule (ball), be careful not to degas too much, and allow to bench rest for 15 minutes cover with a cotton cloth. 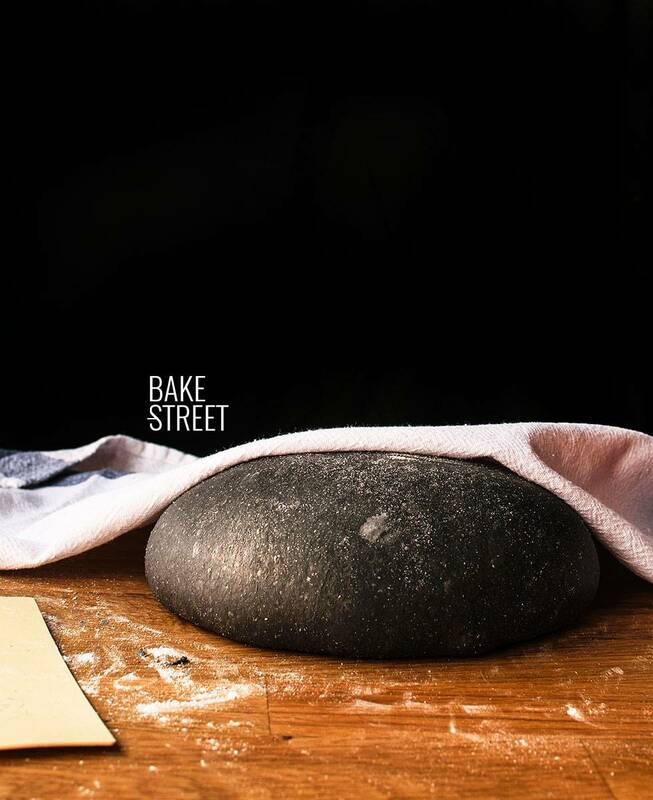 Shape a batard, how I made this from Baltic Bake House again. Spray the surface of the batard with water and cover with a paper part of the bread, leaving only one end in the air, to sprinkle the sesame. Repeat the process with the other side. We will leave the central area clean to decorate later. Place seam-side up in banneton, cover with a cotton cloth and put in the fridge for 24 hours. Preheat oven 445ºF* at least 30-40 minutes prior to baking with your stone or steel sheet on it positioned on final rack. Put inside a pan with volcanic stones, this helps to get steam in the baking. Transfer the bread from the banneton over a wooden board cover with parchment, seam side down. Spray with water the central part of the batard and place on it a stencil or a crocheted cloth. Sprinkle with rye flour and remove (stencil or cloth) very carefully. Place the bread into the oven and pour boiling water over the pan with volcanic stones. Close the oven door immediately to trap the moisture. Bake for 20 minutes at 410ºF. After first 20 minutes, open the oven door to allow steam goes out, remove the track with volcanic stones with kitchen gloves and reduce oven temperature to 390ºF. Bake for 10 minutes. Reduce temperature to 375ºC and bake 10 minutes more. Finally bake with convection at 375ºC for 10 minutes. 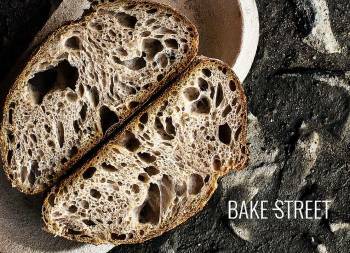 Bread will get a better crust this way. Total bake time is 50 minutes. 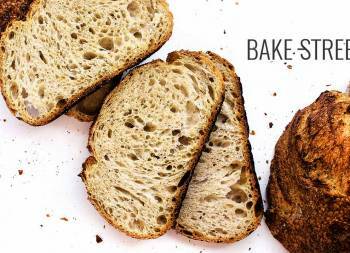 Once bake has ended, turn off the oven and let sit the bread inside the oven with the door ajar for 15 minutes. Remove from the oven and let cool over a rack. Bread can be stored for up 3-4 days cover with cotton cloth. If the beginning is dry, cut the first slice and inside will be still tender. You can cut the bread into slices, cover with plastic film and freeze. This way is the better to make perfect toast each morning. 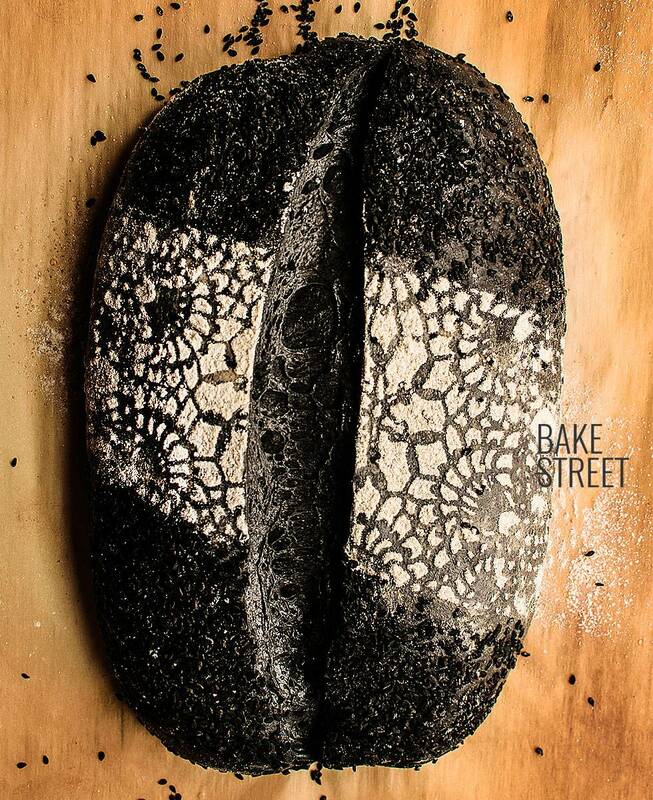 I'm sure this sourdough charcoal bread will be a new challenge for you. If you care about its taste, you should not do it. Active charcoal enjoys a very bad reputation as to its taste and I do not deny that it is so (although I have not tried it in those proportions). But in today´s recipe you will not notice difference in taste at all unlike any other sourdough bread. So encourage you! I'm looking forward to hearing from you!